In the 1970's, we wore Prisoner of War (P.O.W.) bracelets. Today, we also keep others in our memories; Victims of Terrorism and Military Casualties. To keep the memory alive of those who have died at the hands of terrorists or fighting terrorism, we now also wear Memorial Bracelets. 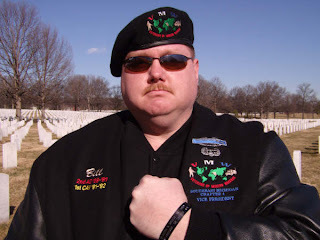 People from all over the country are wearing bracelets from Memorial Bracelets located at www.memorialbracelets.com for their own very personal reasons. Below are some of the stories that we have received. My (distant) cousin, PFC Justin W. Dreese, of the 82nd Airborne, US Army, was killed in a mortar attack in Iraq, on 2 Sept 2006. 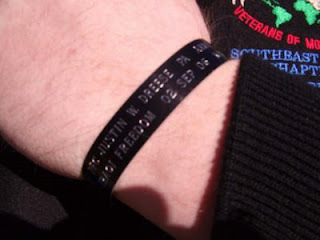 I wear my Memorial Bracelet to honor his sacrifice, and the other (almost) 5,000 heroes from our nation's military services since 2001, that have "paid the last full measure of devotion" by laying their lives upon the altar of freedom. I wear it constantly, as a officer of my veteran chapter that is out in the community constantly. 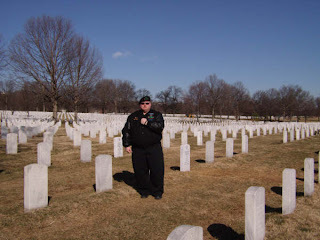 These are pictures of me in Arlington Cemetary (section 60, where the newest heroes are laid to rest) on February 17, 2009. 3/41 Inf, 2nd Armored Div. Windows Live™ Contacts: Organize your contact list. Check it out.